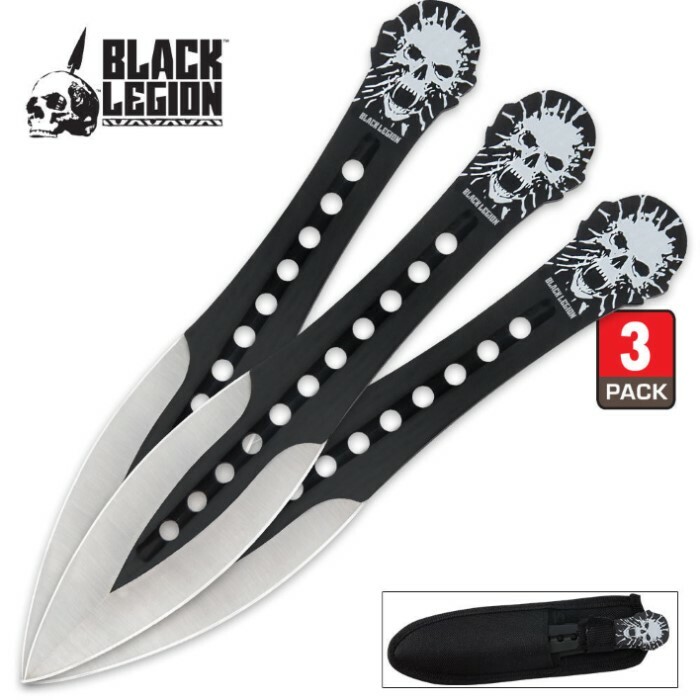 These Sonic Skull throwing knives are ready to wreak havoc on your target! A sleek redesign of traditional double edged "arrow" throwers, these knives feature a wide blade tip with center groove, perfectly aligned holes, and are topped off with Sonic Skull artwork. Forged from stainless steel, these full tang knives have a two-tone black and silver finish. A black nylon sheath with belt loop is included. Each throwing knife measures 7 1/2 in. overall. these knives are well balance and fast ! i prove these knives to everyone.